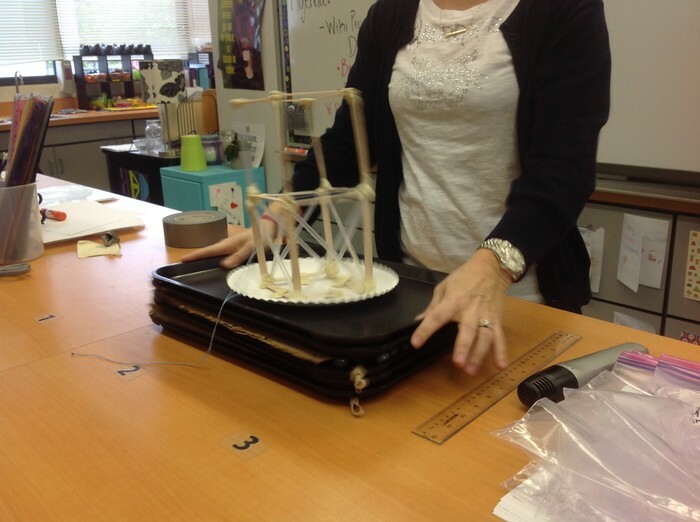 The earthquake PBL project was a very fun assignment in which our group had to construct a two story house that could withstand a powerful earthquake (Mrs. Chappas' shaking at full force). The point of this was to modify the house so that it could not fall apart from the earthquake. For example, stabilizers for the base could act as shock absorbers from the shaking. The driving question for this project was: How can we, as structural engineers, construct a two story house for Tony Stark in California that will withstand seismic activity? Mrs. Chappas was shaking with all of her might, but she still couldn't knock down our mighty two story building! 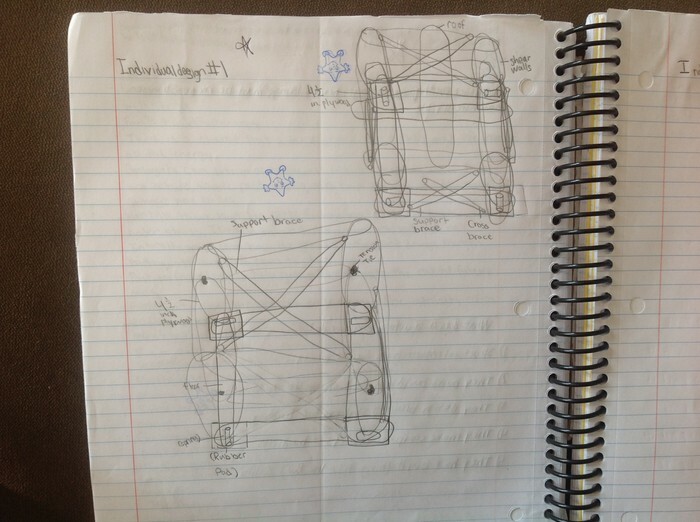 This is my individual design, it included tension ties, support braces, stabilizers, and cross braces. 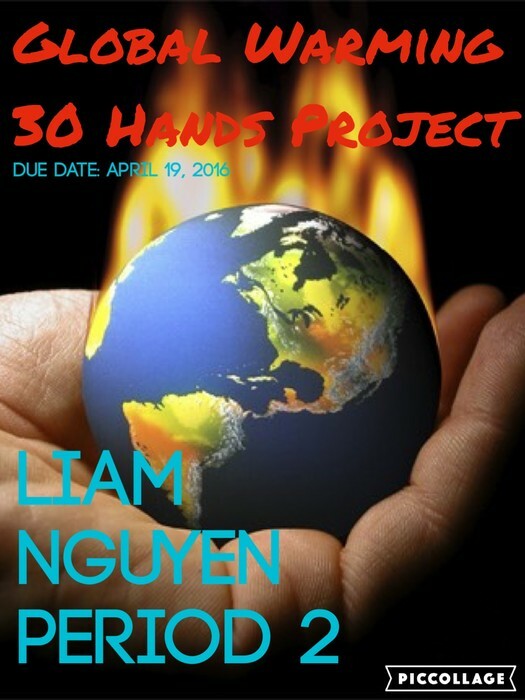 In this project, us students were to dicuss global climate change and how it affected Earth. We also explained things like global warming and the greenhouse effect and how it affects us humans. 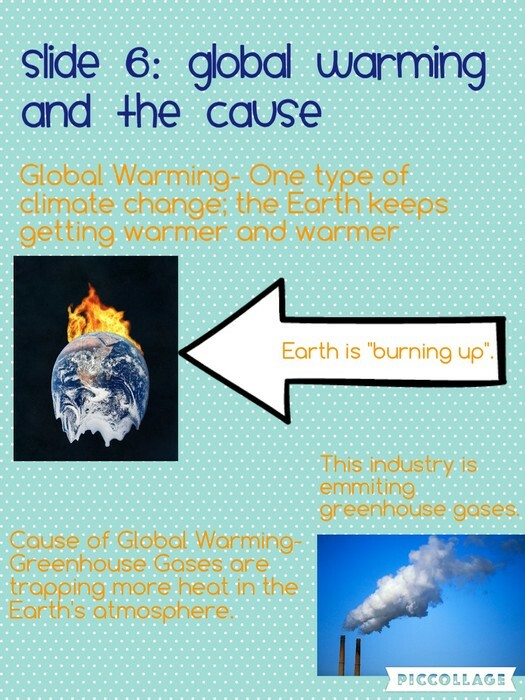 We had to make nine slides on an app called Piccollage explaining questions like: What is global warming and what is causing it? After we created these slides, we had to narrate on them, and say more than what was on the slide. 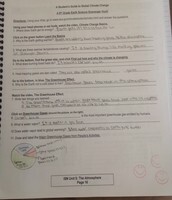 Therefore, we made a script to help us narrate on the project. This is the title slide for my 30 Hands project. It consists of: my name, period, and due date. 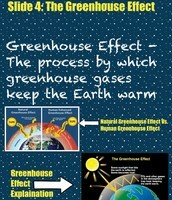 The question in this slide was: What is the greenhouse effect? 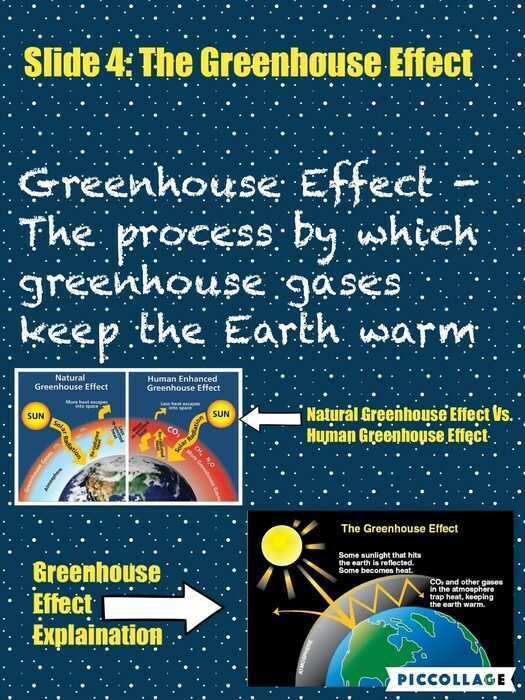 This slide has two pictures, and it has the definition of the greenhouse effect. The question in this slide was: What is global warming, and what is causing it? This slide also has two pictures and the definition of global warming and the cause of it. In this project, I worked with a group of three to create something that would solve an environmental problem. The catch was that it had to be from recycled material, and it had to initiate two of the three r's, reduce, reuse, and recycle. Aaron Nguyen, Sean Burdick, and I decided to make the Hydro-screw, which used all of the three r's. This invention uses a water screw to bring water up and over a ramp, which will turn a water wheel which will in turn power the turbine to function a generator to power a cooler. When it is not powering the cooler, it will also power a house. This Hydro-screw will completely eliminate the use of dams, which cause too much destructive force to the environment. Dams are causing fish to die and is causing wildlife to move upstream. 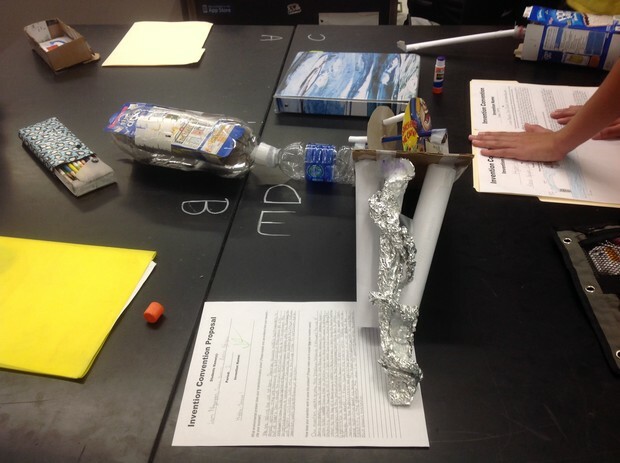 Our invention, however, takes water from a river or steam and will keep using it to generate electricity. 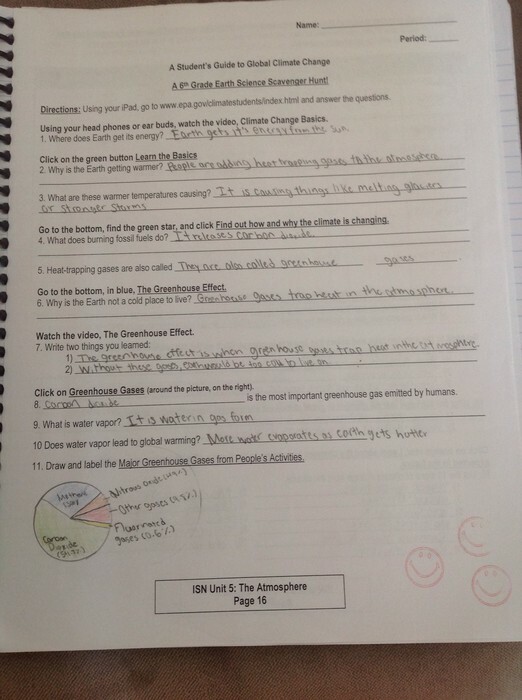 My favorite unit in science this year was the Atmosphere unit because I liked the fun activities that we did in this unit, like the candle experiment. 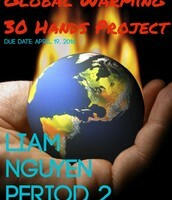 Also, the 30 Hands Project was one of the best projects this year. 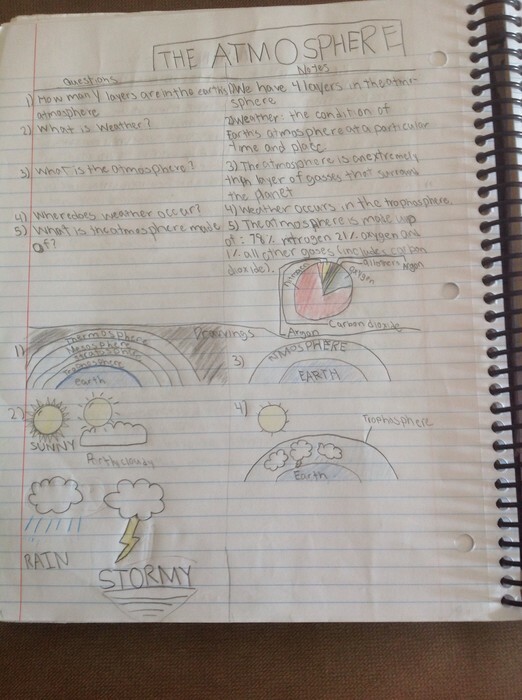 I liked learning about the four layers of the atmosphere and learning about things like air pressure. 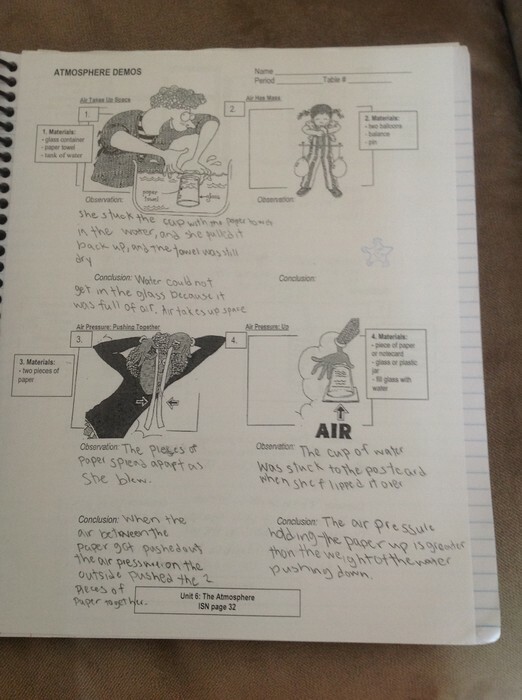 In this assignment, Mrs. Chappas did several experiments involving air. We had to write down what we we saw and the conclusion. 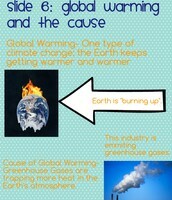 We had to do an "online scavenger hunt" and write down facts about global warming. 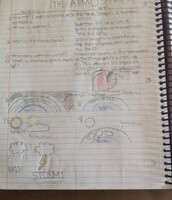 We had to write down notes on padlet for this assignment. 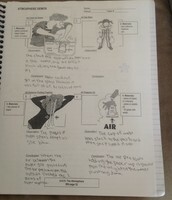 I did cornell sryle notes and wrote down fourteen.